Q. How do I find an alternative citation if the law report I need is not available in the library? Use the Digest to find alternative citation. 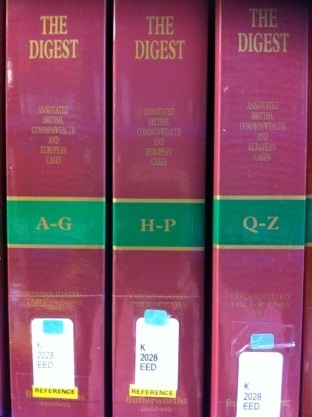 Refer to the "alphabetical index" and find out the volume number of the Digest. Find the volume 4 (1) Bkpcy. Refer to the Table of cases to find the case number. Refer to the case number 2502 in Vol 4 (1). Aalternative citations are listed at the end of case summary.